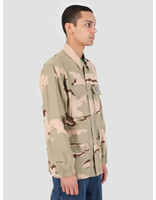 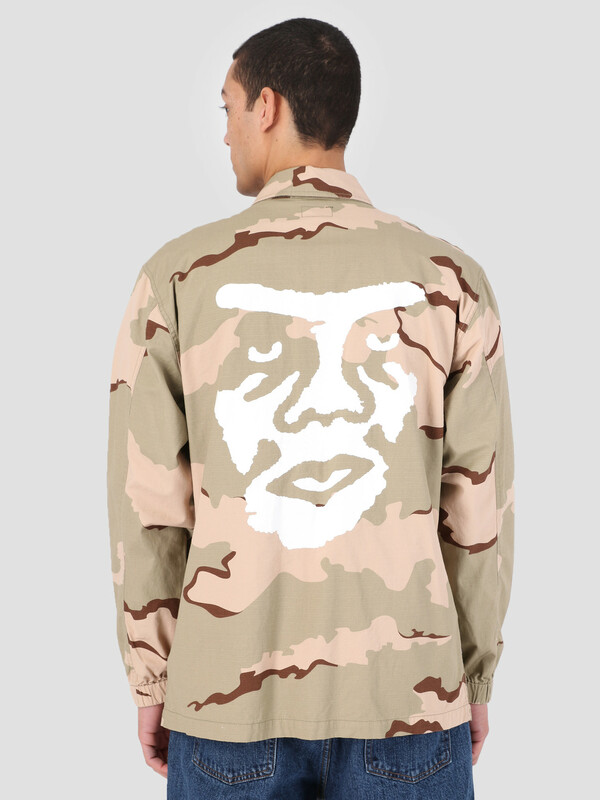 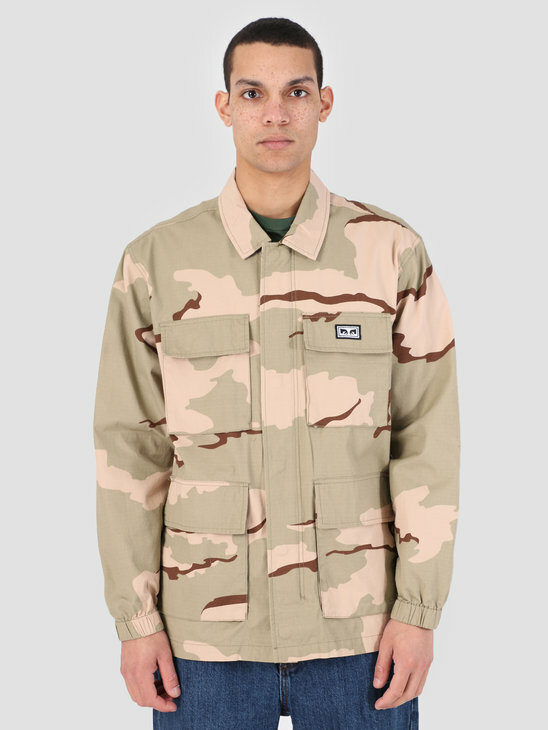 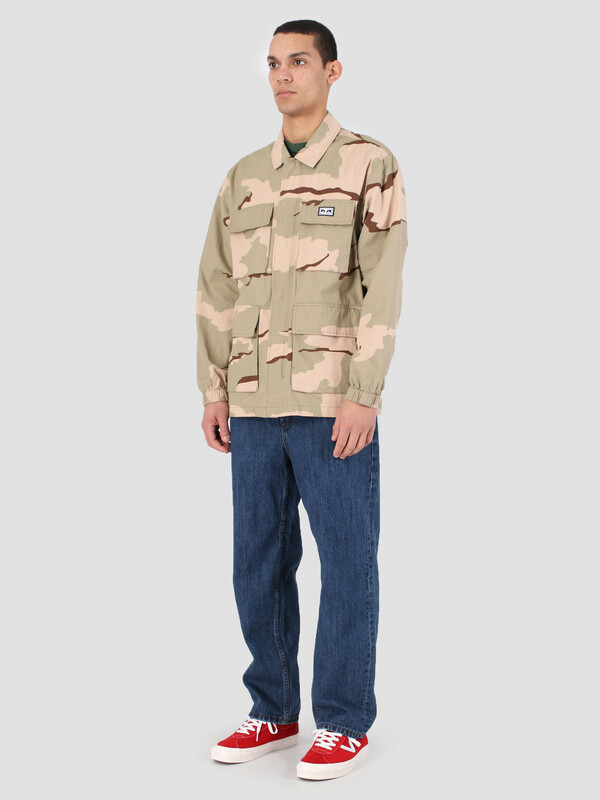 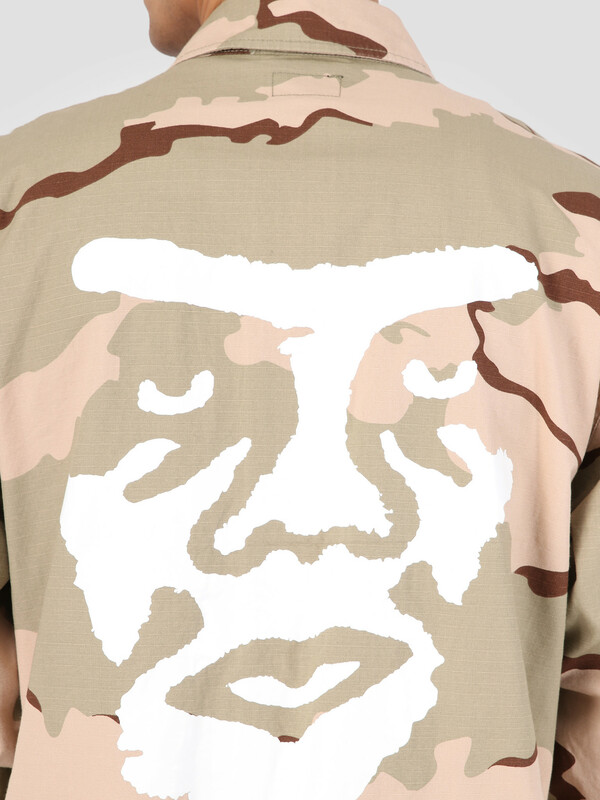 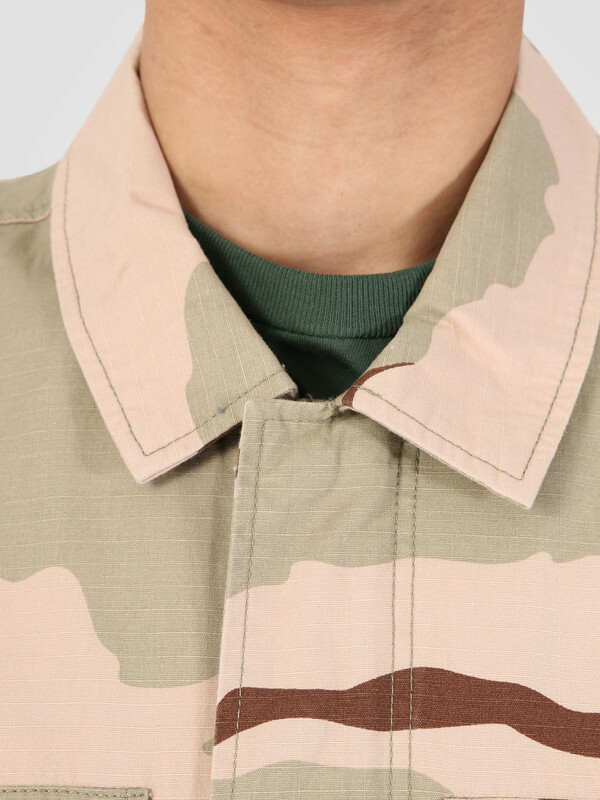 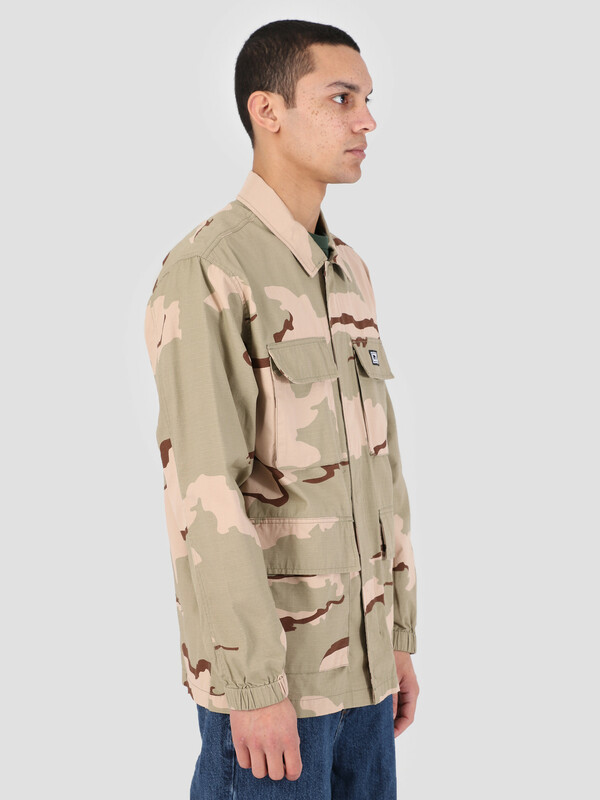 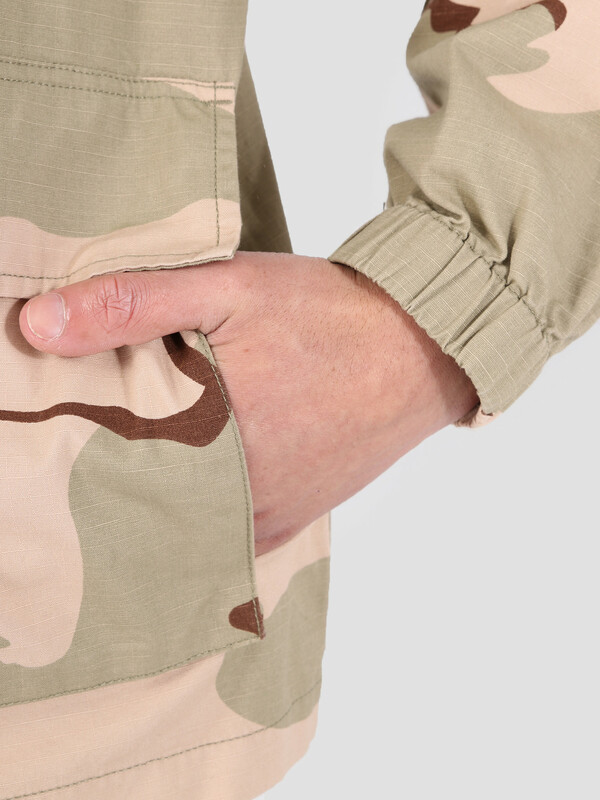 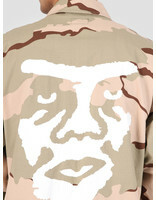 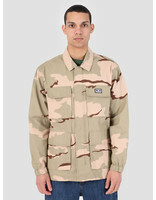 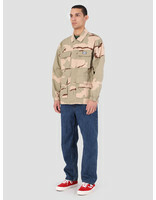 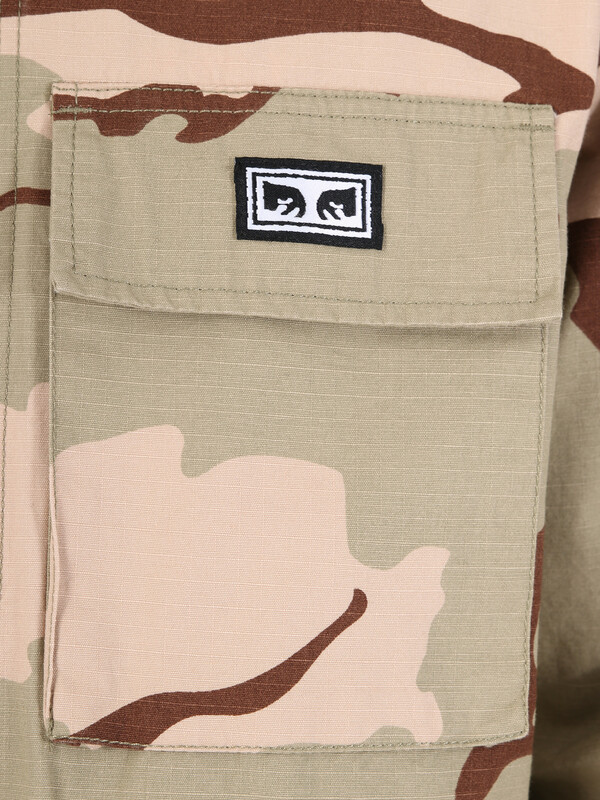 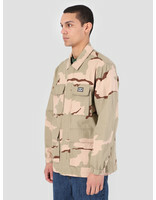 The Obey Looming Bdu Jacket in camouflage. 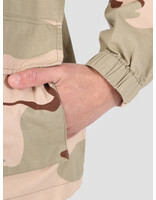 The front of jacket is filled with 4 pockets, two on the right and left. 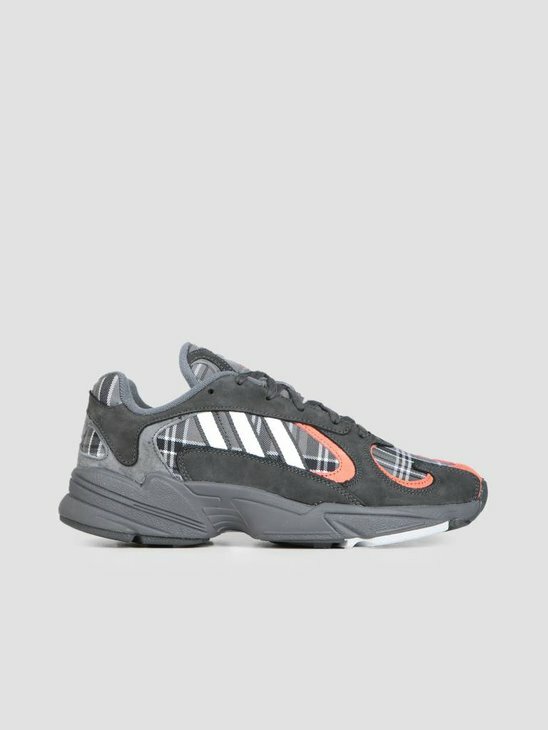 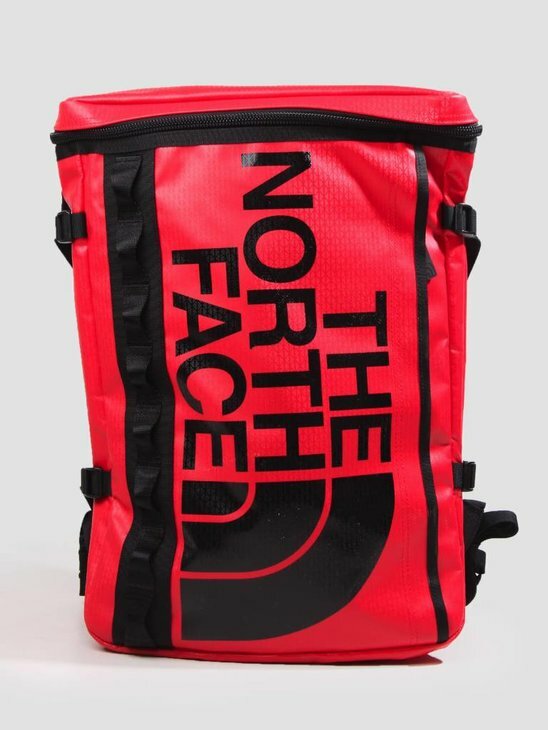 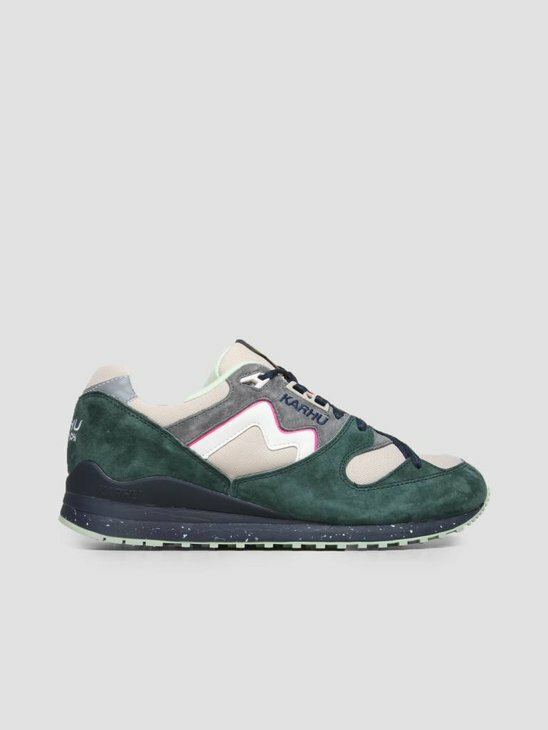 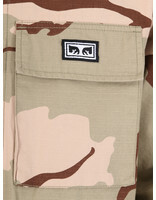 These pockets are accessible from the top through the flap openings, the bottom pockets are also accessible through the sides. 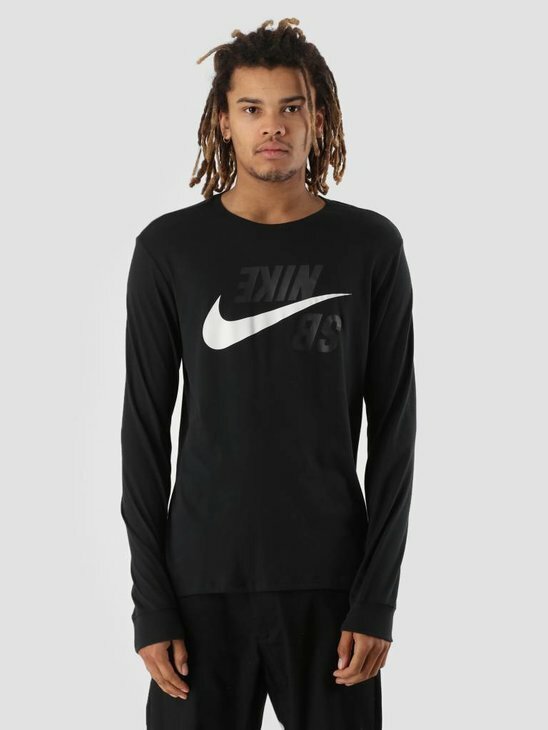 Obey branding can be found in small on the left chest and a large print is visible on the back. 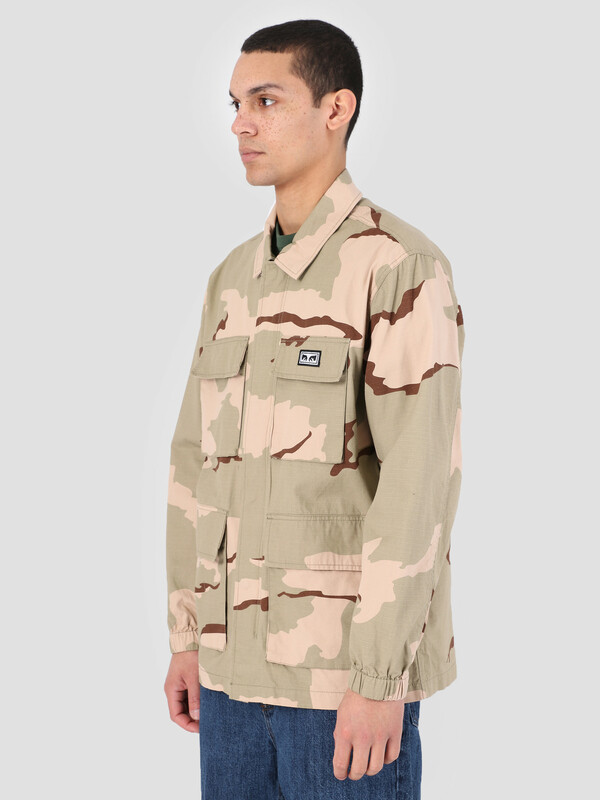 The jacket is lightweight and a perfect item for the coming spring weather.